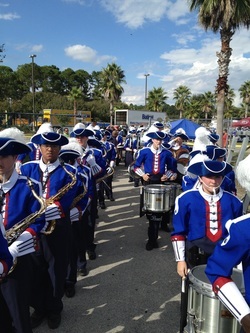 In August, the Pace High Band had the distinction of being the largest ensemble to perform the National Anthem at a Pensacola Blue Wahoos game to date. The performance was extremely well received, and was preceded with our principal Mr. Stephen Shell throwing out the first pitch. Straight Superior ratings at the Florida Bandmaster's Association Marching Music Performance Assessment held at Tate High School on October 12th. On October 15th, ALL marching bands in Santa Rosa County came together at Pace High School to perform for each other at the Santa Rosa County Marching Exhibition. 2nd Place Overall at the A.D. Nease High School First Coast Marching Invitational on October 19th. The band also came home with Best Overall Music and General Effect trophies as well! Senior Percussionist, Amy Russo, was selected as the 2013 Pace High School Homecoming Queen. Other band members in the Homecoming Court were Kendall Jordan (10th) and Erin Kassebaum (9th). Senior Percussionist Elizabeth Gordon was selected to participate in the US Army All-American Marching Band in San Antonio, Texas. 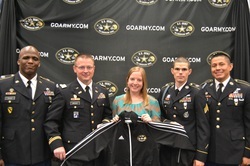 Representatives from All American Games and the US Army made this official announcement during a press conference held in the band room in late October. Elizabeth received an all expenses paid trip to San Antonio, to perform in the Alamo Dome for the All-American Football game. Elizabeth was the very first student from Pace to receive this honor. Read her All-American bio here. The announcement was also covered in the Santa Rosa Press Gazette. Read the article here. While in San Antonio, Elizabeth ALSO received the Calvin Titus award for her outstanding musical, academic, and service contributions. On November 23rd, the Pace High Band performed at the Florida Marching Band Championships held at the Tropicana Dome in St. Petersburg, FL. 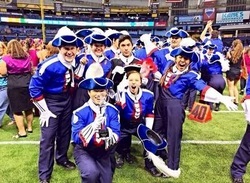 The band took home Best Overall Music, General Effect, and Visual trophies in Semi-Finals, and achieved their ultimate goal of making Finals for the first time in school history. Later that evening, after performing first in the 5A Class State Finals, the Pace High Band were crowned GRAND CHAMPIONS, with a final score of 92.38. This score was also the highest score awarded that day. Pace High Band had a whopping 56 students who were selected to perform with the Santa Rosa County All-County Honor Band. 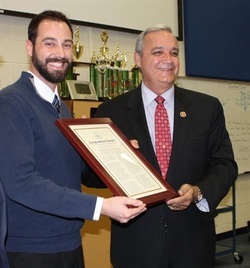 The Pace High Band received a special visit from Florida Congressman Jeff Miller in January, who congratulated the entire band on their recent state championship. Congressman Miller presented an official "Congressional Record" plaque that was presented to the House of Representatives in December. The official record can be found by searching the online Library of Congress. 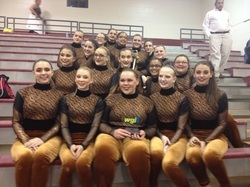 The Pace Winterguard took first place at the Choctawhatchee HS and Fairhope HS Indoor Shows. 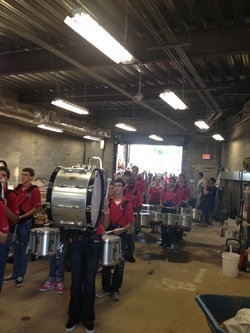 The Pace Indoor Percussion took second place at the Choctawhatchee HS show and first place at the Fairhope HS show. The Pace Indoor Percussion took fifth place in their class at the WGI Hattiesburg Regional competition on March 15th with a score of 81.90. On February 6-9th, the band had a total of 19 students participate in The University of Southern Mississippi's annual All-South Honor Band clinic weekend. Amy Russo, Peter Russo, Taylor Menke, Allison Strachan, Emily Cleveland, Haley Northrup, Emily Martin, Emily Denison, Marybeth Arrant, Jarrod Colley, Adrian Hattan, Jonny Gibson, Zane Lampitoc, Stephen Lash, Alex Broz, Brett Raley, Will Whitfield, Nathaniel Thies, and Jacob Jackson all participated! 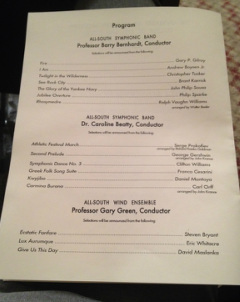 On February 21st, 2014 members of the Pace Band performed at the Florida Bandmasters Association District 1 Solo and Ensemble Contest. At the end of the evening, an amazing 81 superior medals were awarded to our students. The Pace Winter Guard took home a 3rd place trophy at the WGI Pensacola Regional on February 22nd, 2014. Pace competed against 24 other teams in their class, and received a finals score of 76.41. The Pace Winter Guard placed 5th out of a total of 38 original teams at the WGI Southeastern Championships on March 22-23rd. Their finals score of 84.94 currently has them ranked 10th in the nation! The Wind Ensemble received Straight Superior ratings for their performance at the District 1 Concert Music Performance Assessment on Friday, March 7th at Fort Walton Beach High School. The Symphonic Band and Concert Band each received an Overall Excellent Rating for their performance at the District 1 Concert Music Performance Assessment on March 7th & 8th at Fort Walton Beach High School. The Jazz Ensemble received an Overall Superior Rating for their performance at the District 1 Jazz Music Performance Assessment on Saturday, March 1st at Northwest Florida State College. Senior Percussionists Elizabeth Gordon and Riley Bitely each earned a "Superior with Distinction" medal for their solo performances at the State Solo and Ensemble Contest held at Bucholtz High School on Monday, March 24th. The Pace Winter Guard placed 5th in the world in the Scholastic A class at the WGI World Guard Championships in Dayton, OH on April 3-4th! 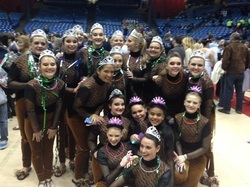 They earned a finals score of 90.89. This was a historic weekend, since it marked the first time Pace has performed in Semi-Finals and Finals during world championships.